Sell to Kitco your 2008 Gold Olympic Maple coin made by the Royal Canadian Mint (RCM). You can sell these and other gold coins securely and profitably to Kitco. Not all investors are aware that Kitco allows you sell gold online, with complete security. We even offer courier pickup in many areas of Canada and the USA, so that your transaction is as easy as possible. 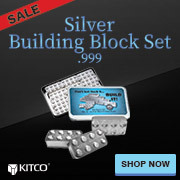 Kitco's world leading website provides gold spot prices, market information, and commentaries. The price of gold per oz is easy to retrieve even on your phone, using Kitco's popular app, GoldLive! When you are ready to sell your gold coins, call Kitco or even easier, simply sell your gold on our online store. Select the product you want to sell from our product list. If you have any trouble, please call us at 1 877 775-4826 (US and Canada), 1 514 313-9999 (international). Our Customer Service Representatives are waiting to help you.